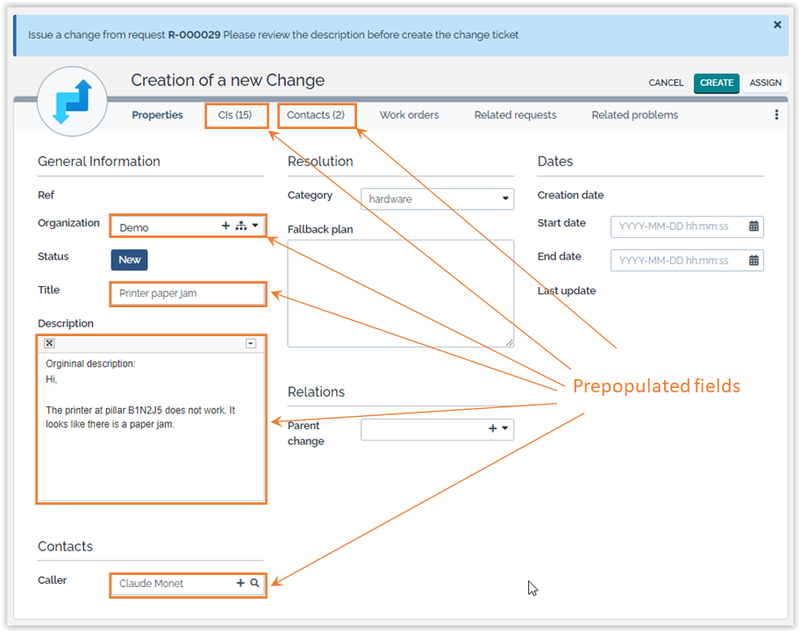 Configure user actions to simplify and automate processes. Eg create an incident from a CI. This extensions aims at improving the end-users productivity. It adds a menu to create an item prefilled with information coming from an existing item. The user can adjust the values, then create the item. In addition to the standard report, a message indicates that something has been retrofitted back to the source item. A shortcut is governed by a rule definition. Several rules can coexist for a single source object: there will be as many menus as there are rules that match the conditions. Set the value of an attribute depending on the value of one or several attributes from the source object. Add an N-N link to the source object or to an external key of the source object. Additionaly, the rule specifies what has to be done to retrofit some information from the created object to the source object. 2017-11-13 1.1.9 Fix error displayed in error message or tooltip, about read-only attributes being set. 2017-09-29 1.1.8 Showing action in object details only when target class is writable. 2017-04-04 1.1.7 Case logs : when using set on a case log, the entry was set twice, the HTML formatting was lost, and if the log was first copied from the source, it was broken. 2017-03-23 1.1.5 Fix for XSS vulnerability. 2016-08-09 1.1.4 Fix for compatibility with iTop 2.3.0 (still backward compatible): properly handle the breadcrumb + bug fix when using hidden fields and case logs. Copy the folder itop-object-copier into the extensions folder of iTop and launch the setup again. 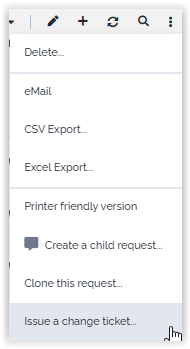 When prompted to select the extensions to install, check “Object copier” in the list of available extensions. menu_label, form_label and report_label can be localized without the burden of create dictionaries. To do so, create the settings menu_label/<language_code> (e.g. “menu_label/FR FR”) for each supported language. The setting menu_label will be the default value. The same action can be requested multiple times. append attcode,string Append the string to the attribute. The string can contain placeholder like $this->attcode$ (or $current_contact_id$, $current_contact_friendlyname$, $current_date$, $current_time$). Commas must be escaped with a backslash. Newlines (\n) are allowed. The character set must be utf-8. set attcode,value Set a value. If the value is a string, it can then contain placeholder like $this->attcode$ (or $current_contact_id$, $current_contact_friendlyname$, $current_date$, $current_time$). Commas must be escaped with a backslash. Newlines (\n) are allowed. The character set must be utf-8. apply_stimulus stimulus code Applies the given stimulus (saves the object). To be used in retrofit ONLY. Best practice: It is strongly recommanded to set transition mandatory fields as well, otherwise they will stay empty and could break reporting. When the list of profiles contain wrong names, those names are simply ignored, and if all the names in the list are wrong then no one will have the menu to clone the object. When a preset action is wrong (syntaxically or grammatically), the preset is stopped at that point, the form is displayed with a message explaining the issue: “An error has been encountered while presetting the object to create: <error message>. Please contact your administrator.” The user can proceed with the object creation.